A yacht is much more than a dream come true – it’s a philosophy of life. 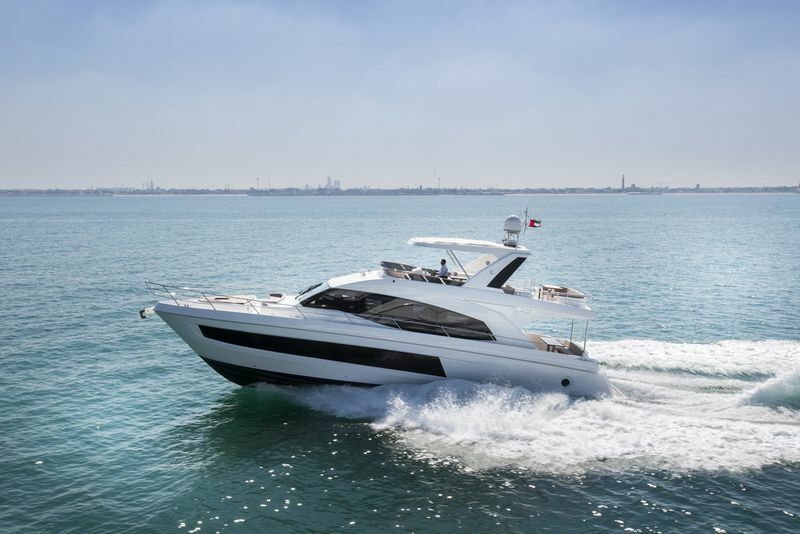 Drettmann as official dealer of all product lines for Gulf Craft in Europe, Russia and Ukraine, is happy to introduce a recent addition to the Majesty Yachts – Yacht Collection - brand. Out at sea, her exhilarating performance feels light and responsive all the way up to high speeds and smooth operation. The fly-bridge is designed to maximize outside space making this the perfect choice for leisure cruising. The elegance of her design continues into the sleeping quarters, up to four bedrooms, three heads and separate accommodation for the crew are possible. The owner’s cabin is being situated mid-ship allowing portholes on both the port and starboard to bring the feel of light and space also below deck.